Part of the fun of Halloween is the opportunity it gives us to get creative. 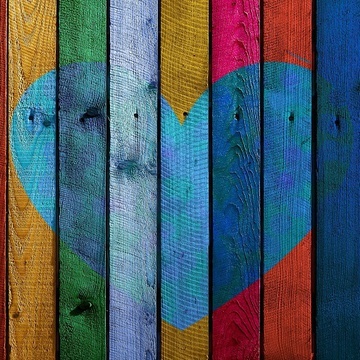 Whether it's about designing unique costumes, carving terrifying jack-o-lanterns, or making your home just that much spookier, Halloween really brings out the artist in us. 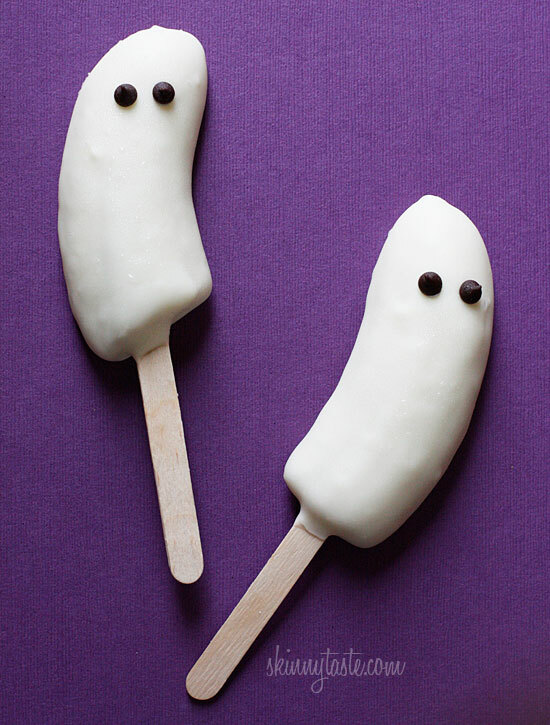 Here are 4 of our favorite Halloween recipes. Skewer the marshmallows with a lollipop stick, then dip them into the melted candy. Make sure they are fully covered by the candy. Fill a glass with uncooked rice, and place the marshmallows in them making sure they remain upright. Keep in the fridge until the candy covering has hardened (approx. 5 min). Microwave the chocolate chips until they are melted. Then dip the top of the coated marshmallows in the chocolate. This forms Frankenstein's hair. Using a toothpick, coat the chocolate towards the base of the marshmallow to form spikes of hair. Return the marshmallows to the fridge, and let them stay in there for 5 minutes or so, until the chocolate is hardened. Grab a pretzel rod and break it into pieces (approximately 1/8-inch). Very carefully push one pretzel piece into each side of the marshmallow at about 1/3 of the way from the bottom. These form the "bolts" for Frankenstein's neck. Dip a toothpick into the melted chocolate and make two small chocolate dots on the marshmallow. Press on the candy eyeballs over these dots. Take your black edible marker and draw on Frankenstein's mouth, and a laceration on his forehead. 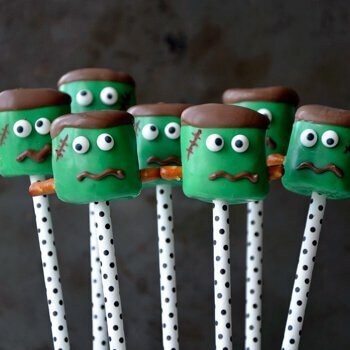 Enjoy the delicious Frankenstein pops! You can also store them in the fridge for later use, just make sure they're in an air-tight container. Preheat the oven to 350 degrees Fahrenheit. Grab two baking sheets and line them with parchment paper. Combine the butter and peanut butter in the mixer and beat until it's fluffy. Add both types of sugar, and beat again until it's fluffy. Mix in the vanilla and egg. Grab a new bowl and combine the flour, baking soda, baking powder, and salt. Add to the butter mixture, and beat with the mixer on low. Roll the cookie dough into 24 balls (approximately 1.5 tablespoon). Spread 12 of these balls on each cookie sheet. Bake for 10 minutes, then remove, and use a pestle or spoon to create a cavity in the centre of each cookie. Place back in the oven an bake for an additional 6-10 minutes. Once the cookies are out of the oven and golden brown, let them cool so they are room temperature. Unwrap the truffles, and place one in each of the cavities. Put the chocolate chips in the oven for approximately 30 seconds until melted. Place the melted chocolate in a Zip Lock bag. Seal the bag, and create a hole on one corner. Squeeze the chocolate out of this hole to create 8 "legs" per cookie. 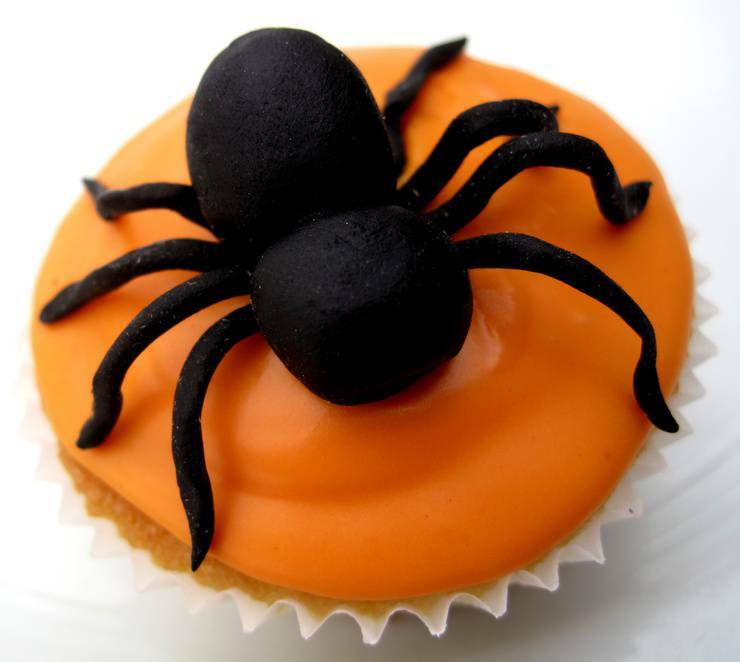 Use the remaining melted chocolate to attach two eyes to the spider. 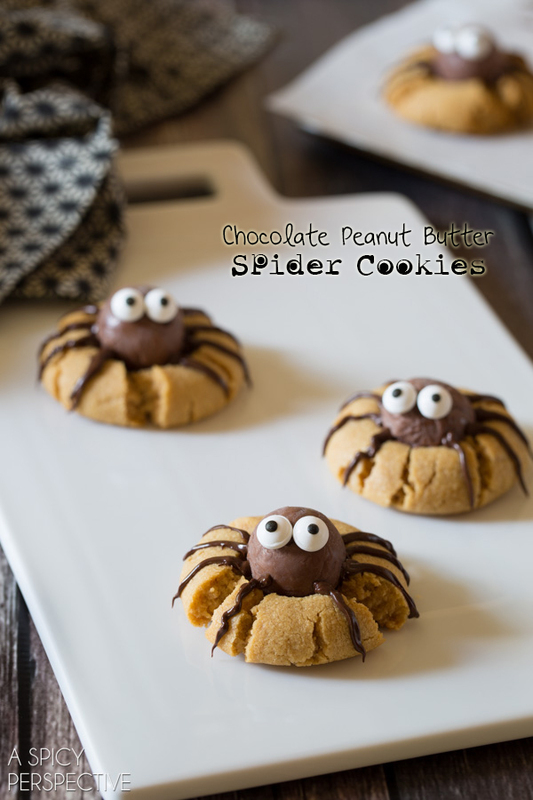 Cool until the chocolate is firm and voila...Chocolate Peanut Spider Cookies!! Place the butter, brown sugar, and syrup in a medium sized saucepan. Cook over medium heat, stirring, until the sugar is completely dissolved. Remove the saucepan from the heat, and add marshmallows and vanilla extract. Stir until the mixture is combined. Add in the green and yellow food colouring. Place the popcorn in a large bowl and pour the marshmallow mixture over top. 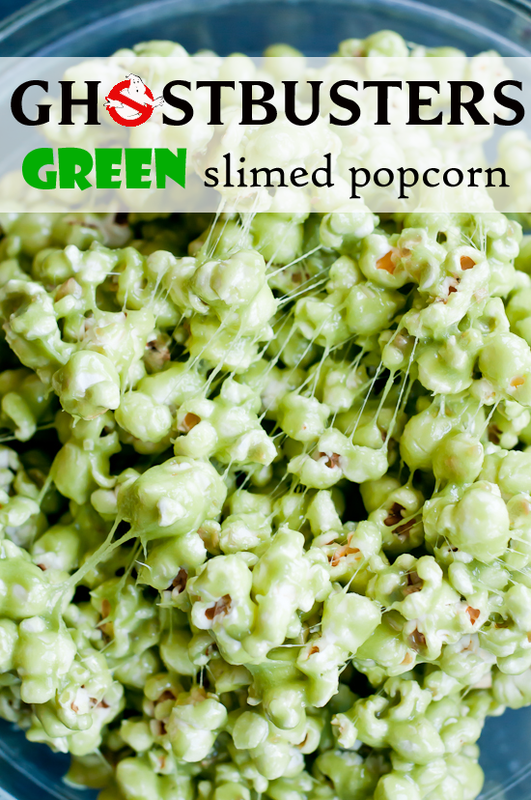 Stir with a large spoon until the popcorn is completely coated in "green slime". Serve and enjoy! If you are serving at a later date, store the popcorn in an airtight container. Cut banana in half lengthwise. Half again to make four quarters. Insert Popsicle sticks into the banana quarters. Put the bananas on a wax paper lined cookie sheet or plate and place in the freezer until the bananas are frozen. Remove the bananas from the freezer once they are solidly frozen. Fill a coffee mug with the white chocolate and place in the microwave for 30 seconds at a time, stirring, until the chocolate is melted. Dip each banana piece into the white chocolate, scraping the excess chocolate from the banana. Place on the cookie sheet lined with wax paper. Add the chocolate chips as eyes before the chocolate hardens. Return the Boo Nanas to the freezer, and serve once they are thoroughly frozen.